US 27 to Blossom Ln., left on Valley View Dr., home is on the right. 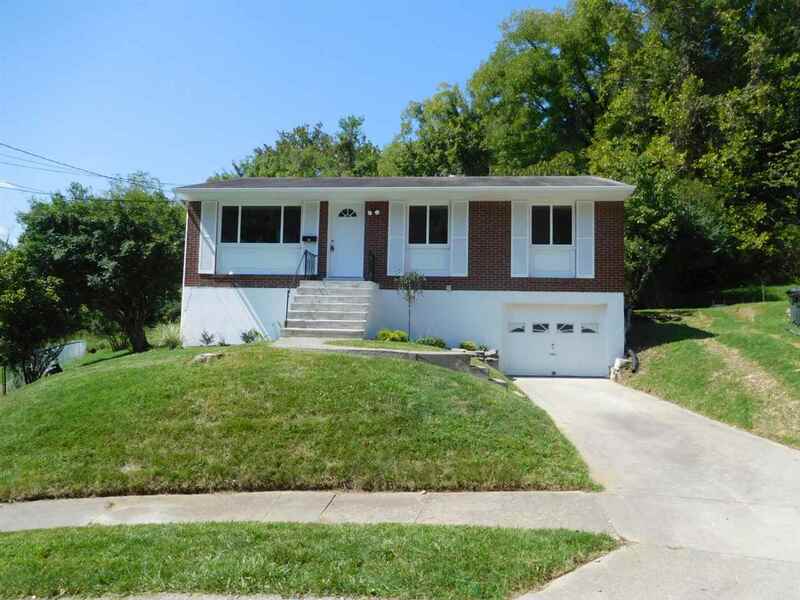 Fantastic 3 bedroom, 1 bath brick ranch located in Southgate. This home has been completely redone and is ready for you to move in! Features include: open floor plan, hardwood floors, level backyard with covered patio, quiet cul-de-sac, new windows, new HVAC, new H2O heater, new kitchen cabinets, new tile floors, updated bath, and new concrete patio. NOTE: This property was sold on 10/23/2018 and is no longer available. The details listed below are believed accurate to the date of the sale and are subject to change. Southgate’s nickname is “City of Friendly Homes”. Located in the hills of northeastern Campbell County just two miles from downtown Cincinnati, Southgate claims a ‘small town feel in an urban area’. One finds many style of homes in Southgate in a variety of price ranges. Named after Richard Southgate, an attorney who later served as Campbell County commonwealth attorney, 4,000 residents call this city home. Jim Bunning, Baseball Hall of Famer, and U.S. Senator, is a native son. I471, and U.S. Rt. 27 (Alexandria Pike) are the primary access routes to the city. The Greater Cincinnati International Airport is about 12 miles south in Hebron. The Southgate Fire Department provides services to the city. St. Elizabeth Hospital East is less than 2 miles away in Ft. Thomas, and St. Elizabeth Medical Center is just 3 miles away in Covington. While most needs can be met in the city, there’s ample opportunity for shopping in any of the nearby towns. For a major shopping trip, hop in the car for a visit to any of the several regional shopping malls within a few minutes drive. The city celebrated its centennial in 2007 with activities throughout the year. The center of community focus is the "Southgate Recreation Center" that houses ball fields and playground, amphitheater, meeting and exercise rooms, an exercise trail and a fishing lake. Concerts, seasonal activities, and gardening contests are just a few of the community-oriented activities. The city hosts yearly events including a Memorial Day Parade and Easter Egg Hunt. The fire department hosts an annual block party. And of course, the proximity to nearby Northern Kentucky and Cincinnati offerings round out the city’s recreational offerings. This listing courtesy of, Ken Perry Realty .